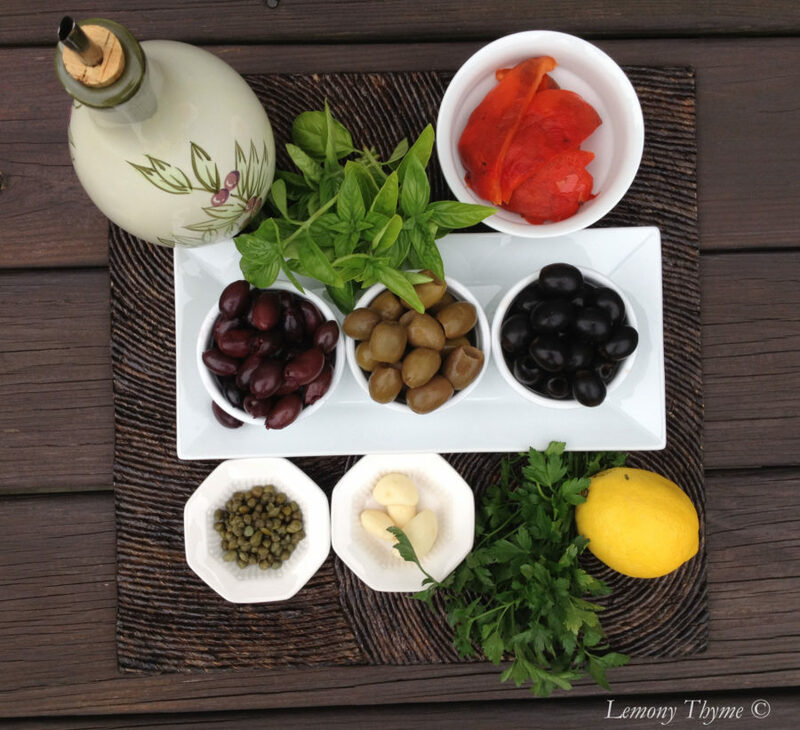 Leftover olives…what to do? what to do? 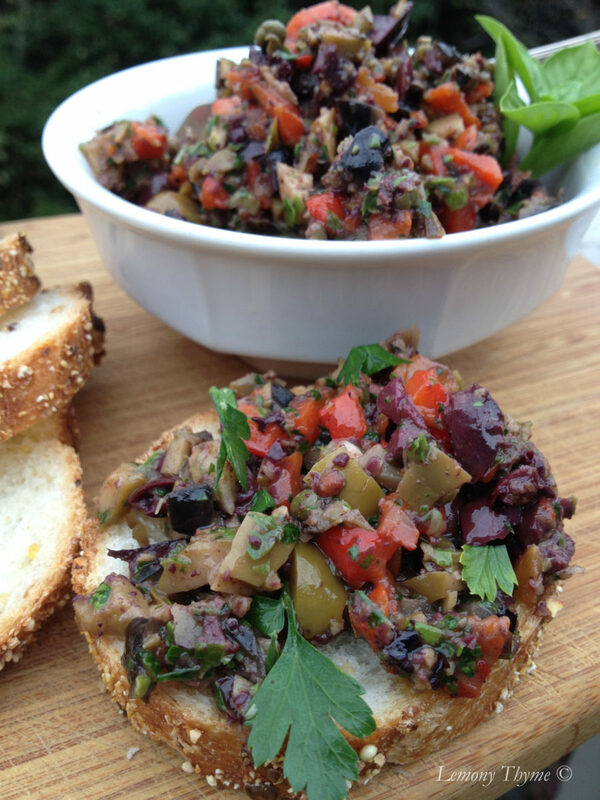 A quick search found this fabulous tapenade recipe by Former Chef. 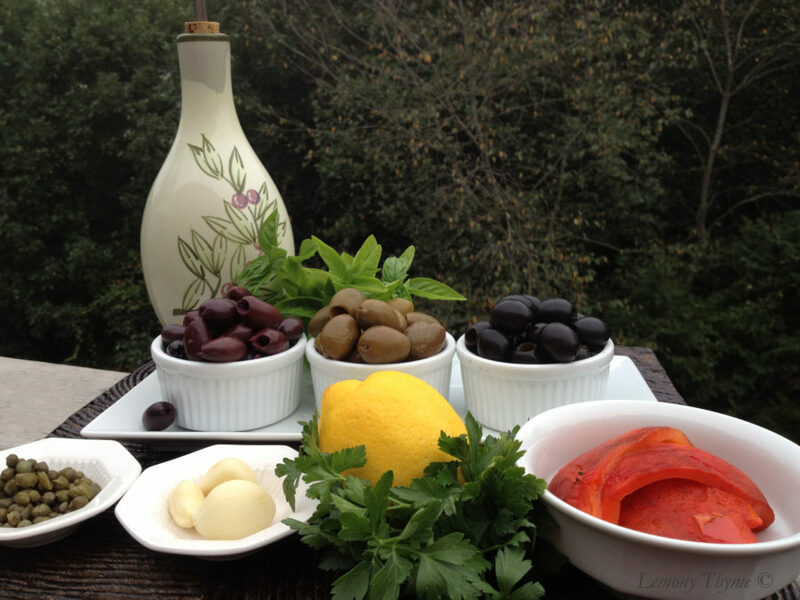 The recipe calls for kalamata, green, and Californa ripe olives but you can use any combination you have on hand. The ripe olives add a nice balance to the punchy kalamatas. You’ll also want to add roasted red pepper. These can be bought in a jar but roasting them at home is super easy. 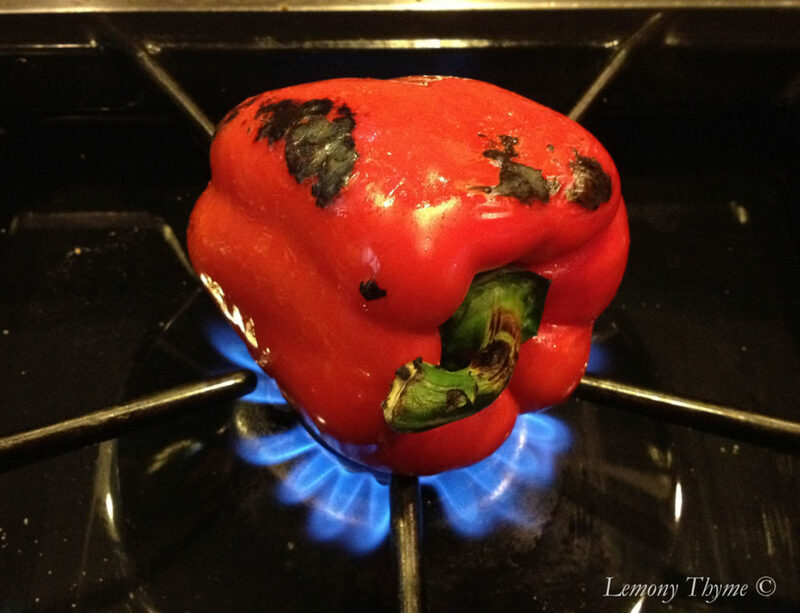 The easiest way to roast a red pepper is directly on your gas stove or grill. Brush the pepper lightly with olive oil. Put the pepper over a low flame and turn it frequently with tongs. Char it well on all sides…this will take up to 10 minutes. 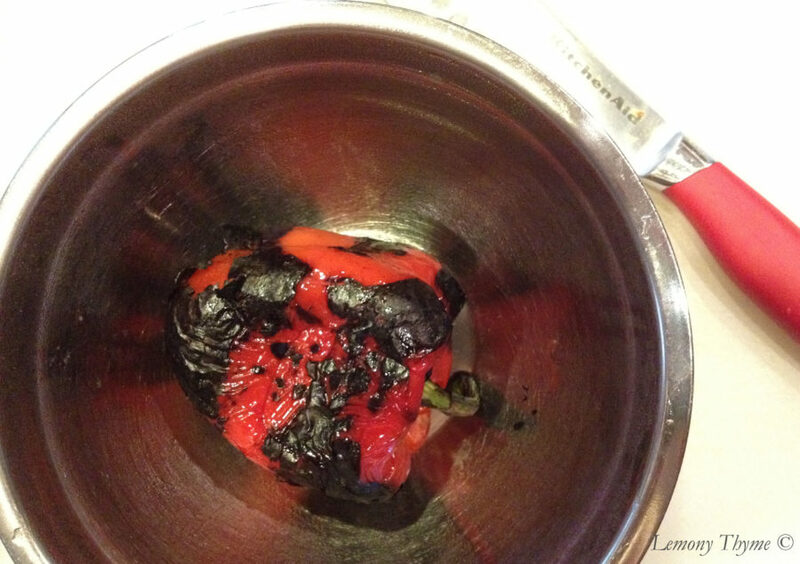 Place pepper in a bowl and cover with plastic wrap. This will create steam which will loosen the skins. Once the pepper has cooled, cut it in half removing the seeds and charred skin. Rinse to remove any remaining seeds or little bits of black charred skin. 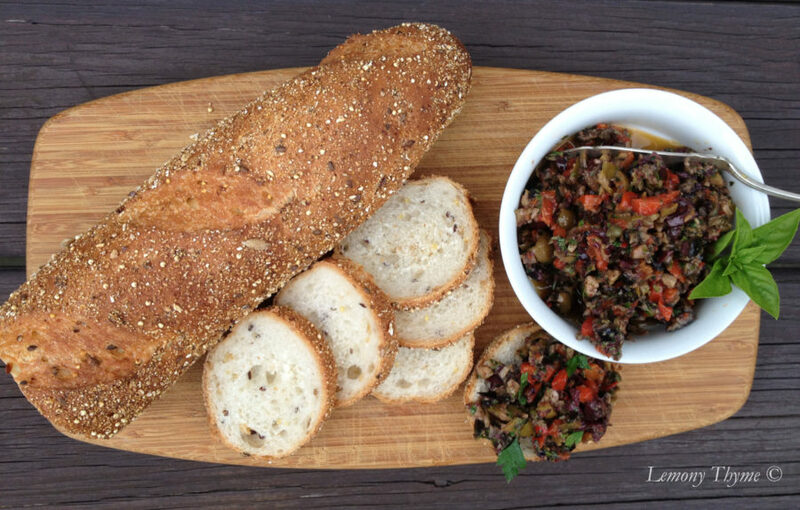 The tapenade recipe is so delicious. 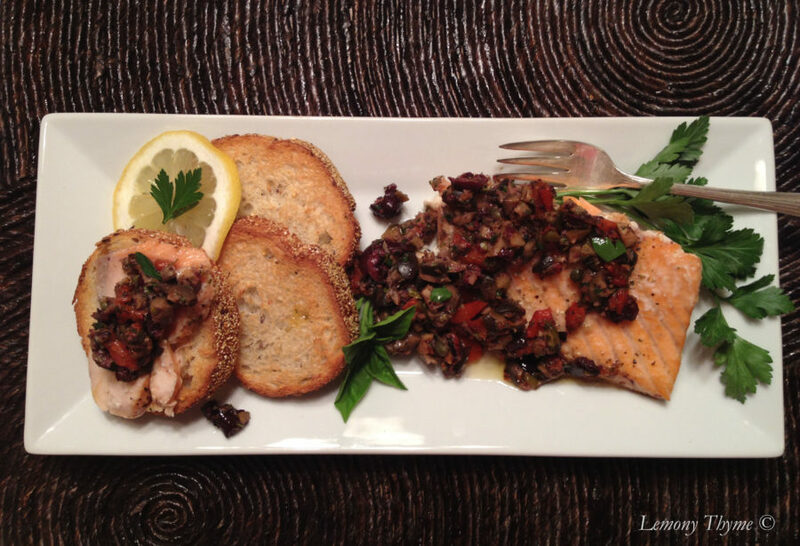 Spread it on crusty bread for an appetizer or pair it with baked salmon for a wonderful Mediterranean dish. Put the olives, garlic, and roasted red pepper into a food processor. Pulse in 1 second intervals 10 - 15 times. Scraping down sides of bowl as necessary. Do not over chop. You want to be able to see pieces of the different olives & peppers. Then remove the olive mixture and set aside. Add the parsley, basil, lemon juice, and capers into the processor bowl. With processor running drizzle in the olive oil until well blended. Pour herb oil over olive mixture and combine thoroughly. I've also prepared ths tapenade using Sundried Tomatoes packed in oil in place of the roasted red pepper. In addition, feel free to change up the fresh herb combination to nuance the flavors. Oregano and lemony thyme would both be great in this dip. Serve with crusty bread and get happy.